| Is your career Grrreat? Where are the new opportunities? Home > Blog	> Is your career Grrreat? Where are the new opportunities? Is your career Grrreat? Where are the new opportunities? Where are all the new opportunities? With the amount of negative news it would seem like there is very few areas of the economy with needs. Ironically, there has never been more opportunities. In the world around you, professionals and organizations are always looking for the next iPod, Google or Twitter, The answers are often simpler & usually, closer than you think. They might even be found at your breakfast table. Chris Leamon had come home from working all night in the lab. Sitting with his wife in his student apartment, he entered his morning routine. 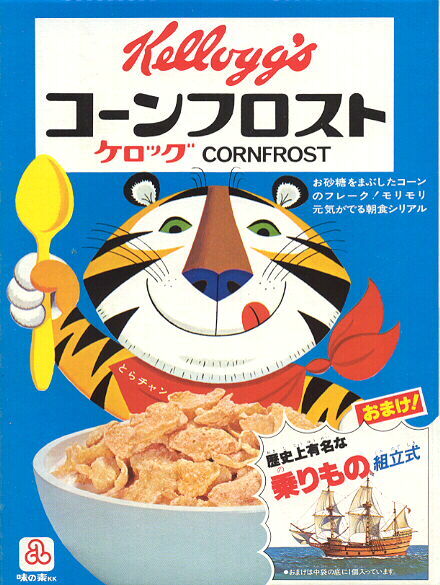 He grabbed a bowl, some milk and his trusted Frosty Flakes. At this time he was working on his Ph.D. in Chemistry from Purdue University. His mother had died of cancer and, this had led him on a career journey to find chemotherapeutic drugs with less side effects. As usual, he was scanning the box and looking at ingredients. For some reason that morning he had a “aha” moment. Folic acid. For some reason that hit him in a unique way. Looking for more problem solving inspiration. You can listen to my podcast with Gadd Shaanan, award winning designer of WD-40. He shares his “secrets” to innovation. Webinar; Get The Right Career Right Now! Join me Thursday, August 25, 12-1 P.M. E.T. I will be sharing how to identify if you are on the right career path. Connect with other like minded professionals for networking & support. Having a Grrrrreat week, along the road with you! P.P.S. Looking to expand your network? Don’t be shy, connect with me on LinkedIn, mention you are a friend & you can connect with over 2300 other Canadian professionals.